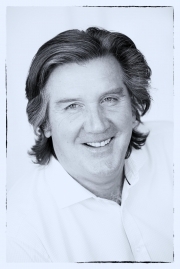 Tom has over 35 years' experience in Financial Services. He has helped shape the retirement and succession plans of many clients throughout the years who have remained long term clients. 'I believe in the concept of a single trusted adviser where planning is reviewed and evaluated on a regular basis. As a business owner myself my experience tells me that plans, whether financial or strategic, for any business are essential to the success of the organization. This is also the foundation of what makes for a secure personal financial future. My skill set and experience, both as a business owner and financial planner position me to help clients plan and achieve their long term goals'. 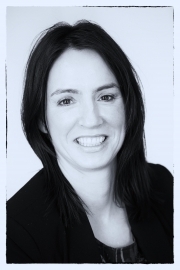 Sinead has over 25 years' experience in the industry, She creates personal Financial Plans for clients that helps them understand their planning. This visually illustrates the impact and benefits of good financial planning and its long term benefits that really helps client engage in the process. She is a retirement pension specialist and give advice & guidance on areas of planning including long-term care. She is a Chartered Financial Planner, the most widely accepted "gold standard" qualification available for professional financial planners in the United Kingdom. Financial planning is not just about buying financial products or investments. 'We understand that there is no single strategy for financial success. Every person or organisation has different monetary objectives; dissimilar comfort levels, distinctive assets and individualised needs. Our approach is through collaboration – discussion, discovery, design and implementation – to discover the individual’s strategic wealth blueprint. We get to know the clients and their goals; their expectations, understandings and their well-being. It’s a personal process, were the product and means of getting there are simply the end game. We help protect against the contingencies of life – whilst allowing clients to live their life. Deirdre is a Financial Planner in the practice with over 25 years' experience in advising client in both Personal and Corporate finances. She is a Pension Specialist and also has experience in running and reviewing corporate pension schemes. She advises on all areas of planning including long-term care. Financial planning requires people to make decisions – thinking in particular about the long-term impact of those decisions. It is a trust-based profession reliant on investors’ belief that the advice they are given is accurate and, crucially, given with their best interests at heart. 'We aim to create long lasting working relationships with our clients and helping them achieve their objectives underpinned by deep technical knowledge and sound ethical conduct '. Aaron is a practice Paraplanner and helps formulate advice and research providing support to the planners. He is degree educated with a Diploma in Financial Planning and is currently studying towards Chartered status. Grainne has over 18 years experience as an Office Manager and Administrator within a busy Independent office environment. She is degree educated and currently studying towards her compliance qualifications. 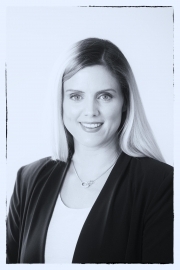 Colleen is the practice Financial Administrator and liaises with the Practice Financial Planners providing administrative support. She is degree educated and studying towards her Award in Financial Administration.